Is this Joomla or Wordpress template? It is Joomla alright but with a special layout and features that will give you complete blog freedom and let you enjoy this outstanding Joomla theme. 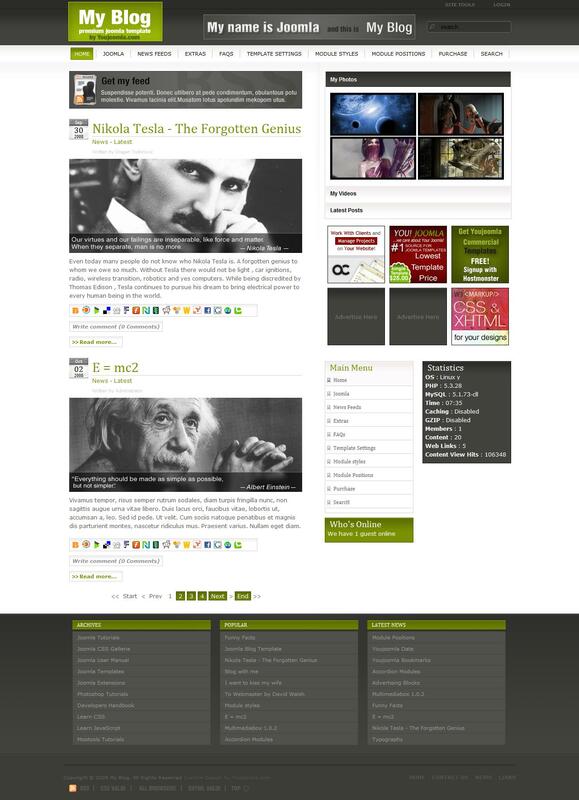 With its unique layout and style My Blog will fast become your favorite template in our portfolio. Including with Youjoomla standard features and enhanced typography this template is just waiting for your Joomla installation .... We are glad that we where able to add this beautifully template to our showcase collection.